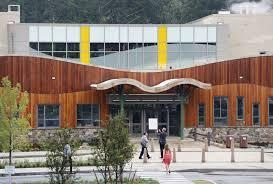 Students at Sandy Hook Elementary School in Connecticut have been sent home for the day after a bomb threat forced an evacuation on the sixth anniversary of the massacre that killed 20 first-graders and six educators. Other than its bucolic setting in the Berkshire mountains, Lee Elementary seems like any other public school. Three of the 10 schools with the highest rates of student suspensions in Massachusetts are in Hampden County. A lesson plan designed by a Newtown, Connecticut-based advocacy group to prevent school shootings will be part of school curricula in ten states starting this week. A student came to a high school in the Berkshires last week with the Confederate flag draped over his back.